Burnley's resistance was broken with a stoppage time goal from Christain Eriksen which was enough to secure a vital win for Spurs against the well organised Clarets. 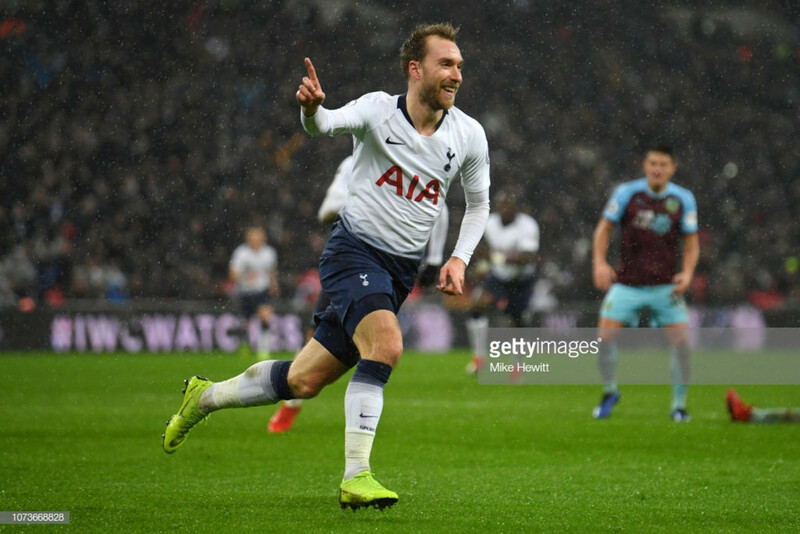 Burnley agonisingly fell to a 1-0 defeat by Tottenham Hotspur at Wembley, with a stoppage-time winner from substitute Christian Eriksen finally breaking the Clarets resilience and preventing Spurs from falling to a first draw of the campaign. Sean Dyche made a surprise alteration to the starting line up and shape of the side which started Burnley's 1-0 win at home to Brighton and Hove Albion last weekend. 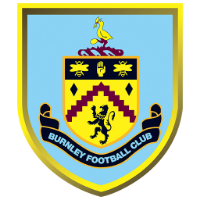 Kevin Long replaced Chris Wood in the starting eleven as Dyche changed to a 5-4-1 formation, with Long, James Tarkowski and Ben Mee starting at the heart of a five man defence, while Johan Berg Gudmundsson was also replaced by Aarron Lennon. As expected Tottenham enjoyed the majority of possession in the first half, with Burnley forced back into their own half for most of the opening period. However, the Clarets were resolute and maintained a narrow shape with five defenders across the edge of their box, which prevented Spurs from finding any space in behind their defence. Tottenham's first real opportunity came when Lucas Moura found a rare moment of space in the Clarets area and poked the ball just wide after an intelligent lobbed pass from Erik Lamela released the Brazilian. Burnley continued to add to the frustration of their hosts as the half wore on, which was further exacerbated as Harry Kane's penalty appeal following a clip from Tarkowski in the area was waved away. Despite controlling the possession and having lengthy spells in Burnley's half, Spurs were struggling to test Joe Hart in the visitors' goal. However, as the game reached the half-hour mark Hart was called into action for the first time, producing a fine save after racing out to deny Lamela following a swift breakaway from the hosts. Dyche's side then created an opportunity to break the deadlock themselves on the counter-attack just before half time. Hugo Lloris, who had been a spectator for most of the half, gave the ball away with a sloppy clearance falling to Phil Bardsley, whose cross was headed over by Ashley Barnes. Heading into the match Tottenham were the only Premier League side yet to draw a match so far this season. Mauricio Pochettino's side were determined to find a breakthrough in the second half to extend that run and keep them firmly in the top four. Spurs through on Eriksen and Hueng-Min Son as they looked to force their way into the lead. 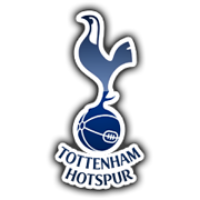 Both players added an extra dimension to Spurs' mounting attacks, with Tottenham missing two good opportunities towards the end of the match. First Hart superbly denied Lamela from close range, before Son could only find the side netting with a clear sight on goal. It looked as though Burnley's game plan to frustrate their hosts and claim a valuable point was going to pay off as the game ticked into stoppage time. However, The Clarets' brave resistance was finally broken in the 91st minute, as Harry Kane laid the ball off to Eriksen who fired the ball beyond Hart. Burnley can consider themselves unfortunate not to leave London with a point, and Dyche will take the positives from a resilient display, which highlighted Burnley's potential flexibility to deploy a five-man defensive system in further matches.